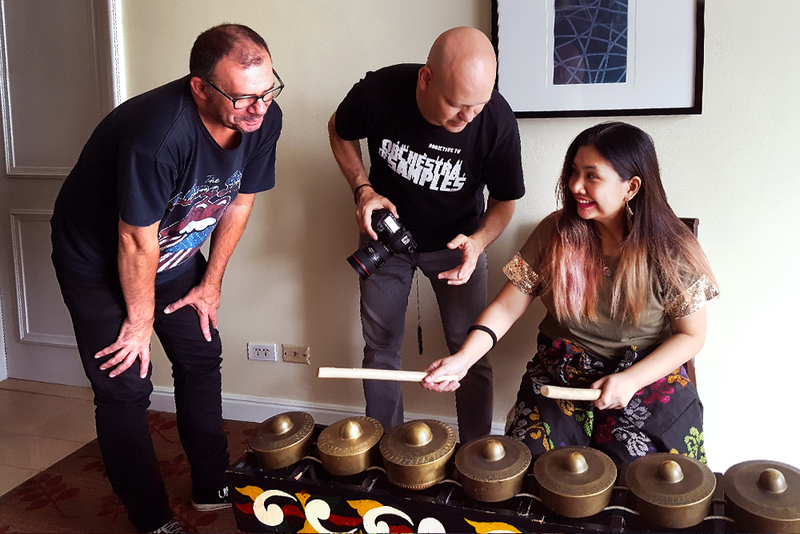 While in Manila, we took the opportunity to record an instrument with a truly Philippine sound, the Kulintang – an ancient instrument formed by laying out small knobbed gongs on a rack, balanced on strings; imagine a kind of xylophone but made from gongs, similar to part of an Indonesian Gamelan. 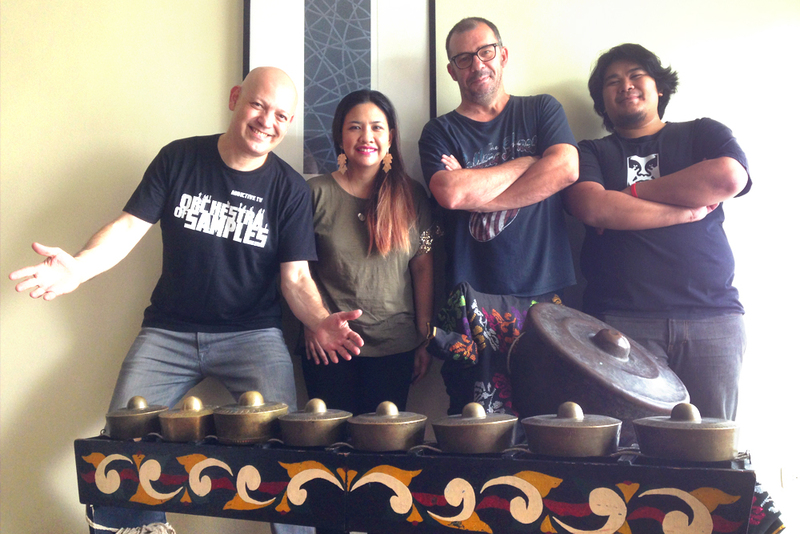 We were introduced to the brilliant percussionist, ethnomusicologist and professor Tusa Montes from the University of the Philippines College of Music, where she teaches Philippine, Afro-Latin and World Music and is often invited to conduct education workshops around The Philippines. A notable artist in her own right, Billboard Magazine in the Philippines named her on their ‘Teacher By Day, Rockstar By Night’ list at number 4! 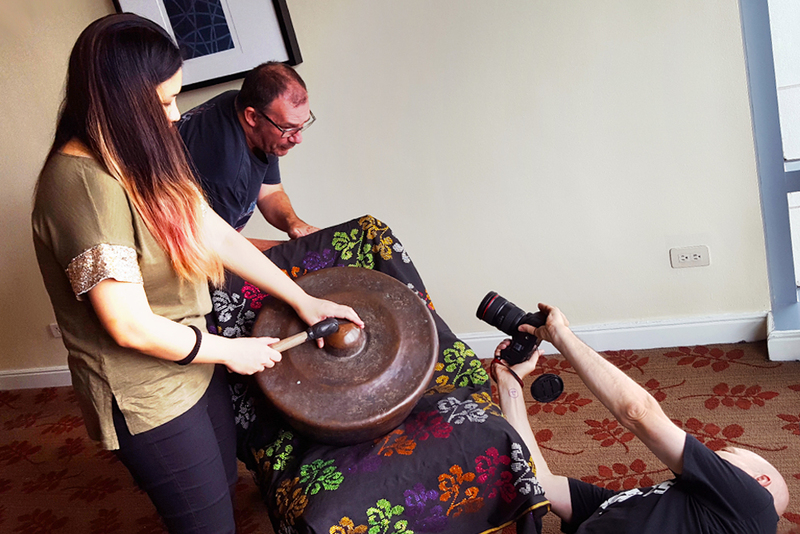 She was a real pleasure to work with, and as well as the Kulintang, she also played the large Agung gong and some traditional Philippine bamboo percussion for us. Tusa graduated from the University herself in 2003, with a Bachelor of Music degree in Musicology (she later obtained her Masters at the same university in 2011). Back in 2005, she became part-time instructor at the University of Santo Tomas (UST) Conservatory of Music and taught there for 10 years! While there, she set-up World Music performance courses such as the Kulintang Performance Programme and the Afro-Latin Percussion Ensemble Programme. 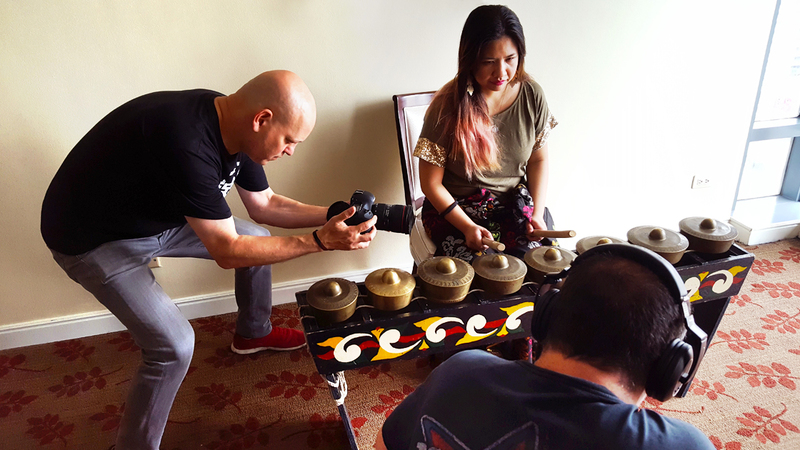 Tusa has studied various Kulintang styles and her passion, interest, knowledge and skills in African and Afro-Latin music deepened under the guidance of renowned percussionist Bo Razon, who started the Afro-Latin Programme at the University of the Philippines College of Music. 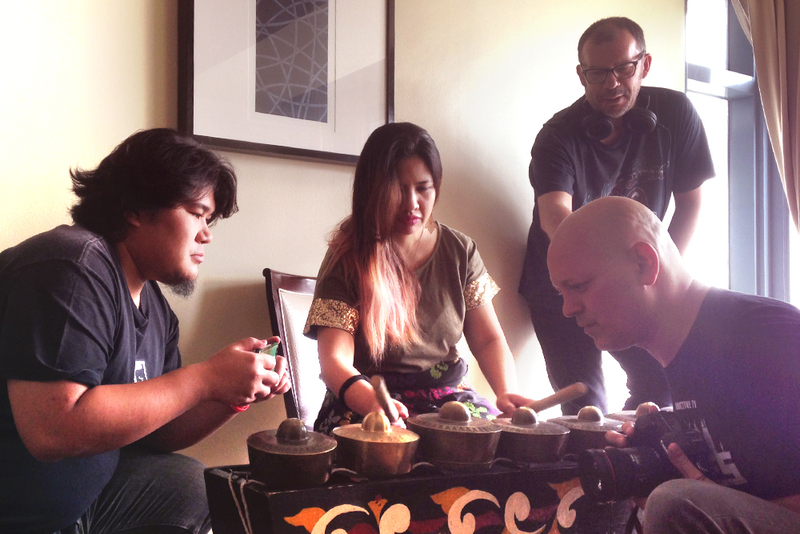 Tusa also trained under American ethnomusicologist and percussionist Royal Hartigan, working with him on research projects into both Maguindanaon Kulintang and Kalinga music, and fusion explorations of the Kulintang with Jazz. In 2010, she travelled to Ghana, to study the Kete court music of the Ashanti, one of the largest indigenous groups in that part of West Africa. Tusa’s musical growth and interests has been greatly influenced by her participation in various leading ensembles in the country, from salsa bands to ethnic fusion groups. 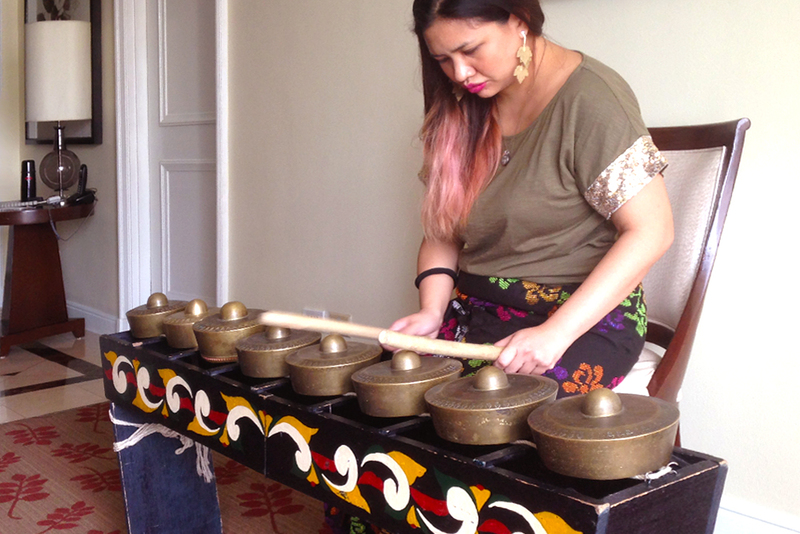 As a student she was a member the country’s only Gamelan ensemble – Tanah Mutiara – and was a percussionist for Latin band Tropik Asya, plus a founding member of the University of the Philippines College of Music Asian Music ensemble Tugtugang Musika Asyatika (Tugma). 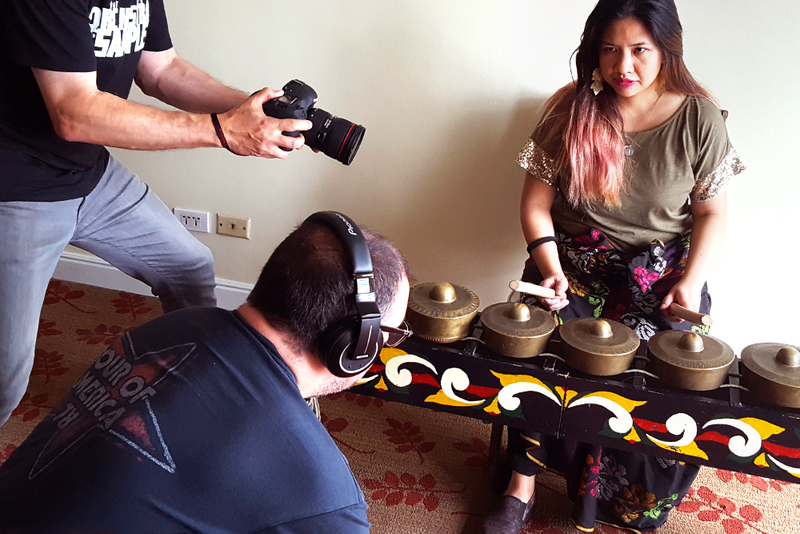 She currently heads the Philippines branch of Royal Hartigan’s Kekeli African Ensemble and recently formed the world acoustic pop group Anahata, in which she incorporates the traditional Kulintang gong instrument in a contemporary pop style. She’s also a member of Afro-Brazilian percussion group Brigada, who’ve collaborated with very well known Philippine artists including Gary Valenciano, Ely Buendia, Cynthia Alexander, Johnoy Danao and even metal-rap band Greyhoundz and rapper Gloc9. Over the years Tusa has also performed internationally, collaborated and recorded on a diverse range of projects, from indie folk, traditional, pop, experimental, sound healing explorations, hip-hop and jazz. This has led her to worked with notable artists such as Latin Jazz pianist and Grammy-nominee Edsel Gomez, electric cellist and Grammy-winner Dana Leong, Afro-Philipino Latin soul singer Joe Bataan, sitarist Paul Livingstone, Royal Hartigan, jazz quartet Blood Drum Spirit, as well as leading Philippine artists such as Bob Aves, Grace Nono, Bo Razon, Noli Aurillo and Renato Lucas. With massive thanks to Kevin Hallare and Poplife.